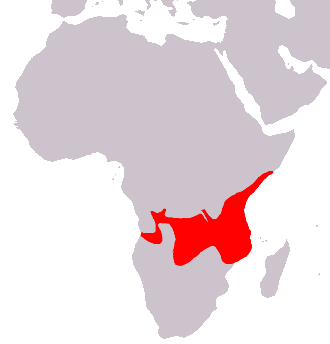 A species' range is the geographic area in which this species is found. It may be continuous or disjointed (frequently the case in migratory species). This area is limited within the maximum range, which corresponds to the environmental conditions necessary for the life and development of the species (areas for shelter, feeding and reproduction). Outside of this range, environmental conditions are not favourable to the species, and even less so for its reproduction.